Molly Ahler was born in South Korea and raised in Tempe, Arizona. At the age of ten she began her training with Nadja Langenhorst at Jeanne’s School of Dance. Her training then continued at the University of Arizona where she received her BFA. Molly has been awarded scholarships for summer programs to the American Ballet Theatre, Milwaukee Ballet, and BalletMet. Ms. Ahler has had the opportunity to perform various classical repertoire such as La Bayadere, Serenade, Swan Lake, and Jardin Animé. Upon her graduation, Ms. Ahler received a contract with Florida DanceTheatre. 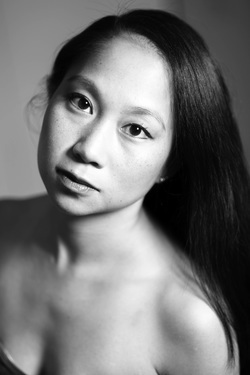 During her performance career with Florida Dance Theatre, Ms. Ahler has had the honor of being cast in the lead couple in Jerry Opdenaker's "See, Here, Speak" and Sharon Wong's "The Duet." Last season she had the honor of performing her dream role, of Kitri in The Don Quixote Pas de deux. Ms Ahler has also had the distinguished privilege of performing in New York City at the APAP conference at the Lincoln Center. More recently, Molly accomplished another dream of working at Walt Disney World. This is Ms. Ahler’s 6th season with Florida DanceTheatre not only as a professional dancer but also a member of the FDT Academy faculty.